Hold factor 2 Light hold/natural finish. Classic British styling.The look: Perfect for all hair types, ideal for creating longer, smooth, sleek hair styles with natural finish. 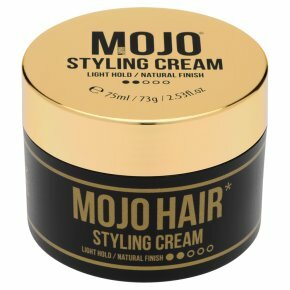 What it does: Softens and smoothes coarse and heavy hair, adding flexibility for a stylish product-free natural look. Leaves hair with an irresistible scent. Directions: Apply a thin layer evenly to palms and work into dry or damp hair. Add to the roots for ultimate control and then focus on the ends to shape into your preferred style. Apply additional layers for extra definition. For longer styles, apply a thin layer where required for subtle control. To emphasise your look, blow dry after applying. Washes out easily.